김정현 박사과정 학생 (최길주 교수님 lab), AOCP 2015 우수 포스터상 1등 수상! / Junghyun Kim (PhD Candidate; Giltsu Choi's lab) won the Best poster award at AOCP 2015. Junghyun Kim (Ph.D. candidate) at Prof. Giltsu Choi's lab. 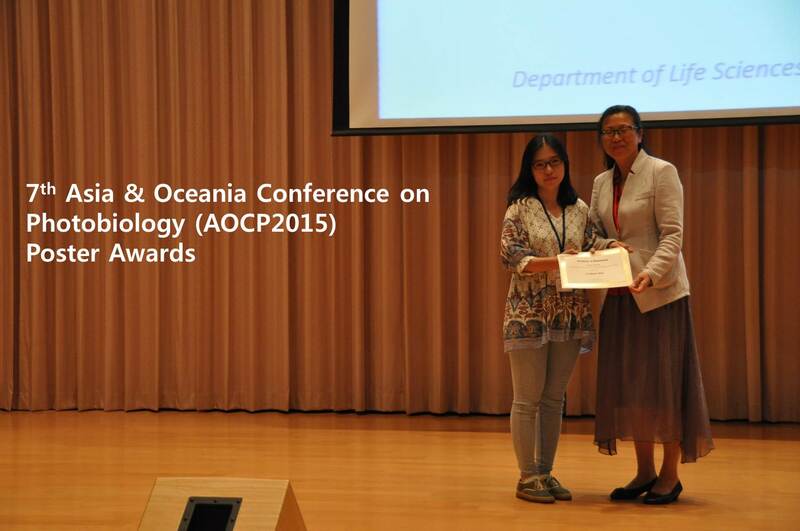 7th Asia & Oceania Conference on Photobiology(AOCP2015), Best Poster Award! Junghyun Kim (PhD Candidate) at professor Giltsu Choi's lab won the Best Poster Award at 7th Asia & Oceania Conference on photobiology (AOCP) 2015!